Research. Information. Technical assistance. More research. And reform. Reform to create a new kind of check-off program for the organic industry that would be accountable, open to scrutiny, and always reflect the needs and interests of the organic farmers and processors and organic businesses it would be charged to represent. Those were the major themes resonating from three years of conversation between the Organic Trade Association and the entire swath of the country’s organic stakeholders in the long drive to formulate a check-off research and promotion program for the organic brand and the organic production system. OTA listened, analyzed, studied and researched. And on May 12, OTA, in collaboration with the GRO Organic core committee, formally petitioned the U.S. Department of Agriculture (USDA) to begin steps to conduct a vote on and implement a research and promotion check-off program for the organic industry. OTA’s action is a ground-breaking move with the potential to have far-reaching and significant impacts for the nation’s organic sector, and marks another benchmark for an industry that has been advancing and evolving and changing the landscape of American agriculture and the food we eat for almost half a century. More than 40 years ago, the American public began to call for a change in the nation’s food system. People wanted to eat foods grown without the use of toxic chemicals, processed without artificial colors and preservatives, and produced in ways that did not compromise the environment. This desire for a responsible, clean and healthy food system became a nationwide call to action that, in 1990, culminated in Congress authorizing an act leading to current rules for the entire system of certified organic agriculture in the United States. The authorization of the Organic Foods Production Act (OFPA) was transformative for the organic sector. It brought together the hodgepodge of state and private organic certification programs and the many different standards and regulations used by organic farmers and processors around the country into a single set of clear and strict criteria for the organic industry. 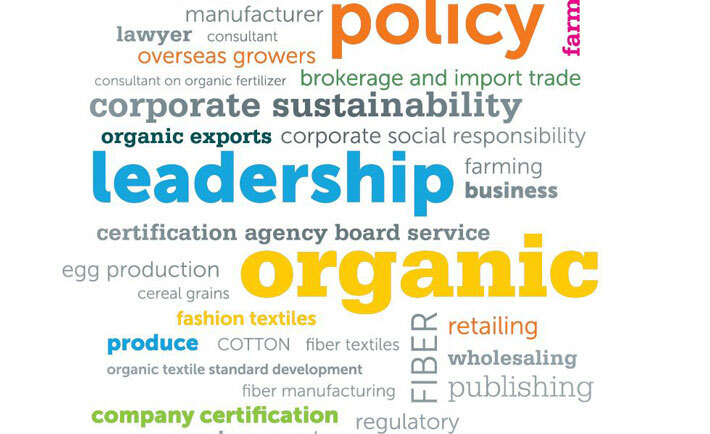 With a uniform and coherent set of rules to work with, the U.S. organic industry took off. Now 25 years after that benchmark moment, the organic sector is again poised for another dramatic advancement. 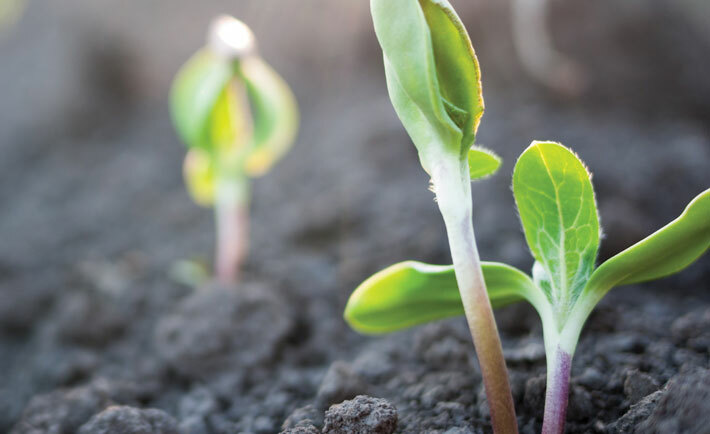 OTA’s action marks the first time in the 49-year history of U.S. agricultural check-off programs that organic would be recognized as a distinct commodity class based on production practices. The organic check-off, referred to as GRO Organic (Generic Research and Promotion Order for Organic) would be an unprecedented multi-commodity, full supply-chain program in which the common thread is the set of organic production practices and the organic brand. GRO Organic would represent and promote all organic products; it would represent and promote the organic brand and the organic agricultural production system. Organic is different, and so would be the organic check-off. It is a daring concept, and did not come without a healthy debate and discussion within the organic sector. Unlike any other check-off program, the proposed organic check-off has been designed to solve what hasn’t worked in other research and promotion programs, emphasizes what has worked, and creates an innovative program tailor-made for today’s organic sector. “I’m really happy to see organic is growing up,” said organic blueberry grower Donna Miller. OTA led the drive to explore the feasibility of an organic check-off, gathering information over three years throughout the country from the organic community—farmers, processors, distributors and other organic businesses. In town hall meetings, panel discussions, surveys and phone calls, the needs and challenges—and how to meet those needs and challenges—of the organic industry were discussed and analyzed. More than 5,000 organic farms and businesses responded to OTA’s extensive surveys, weighing in support of establishing a dedicated organic check-off by a margin of 2 to 1, with little or no difference in the amount of support between the size and types of operations. It’s estimated that GRO Organic could raise over $30 million a year to move the organic sector forward. Rooted in a strong focus on research to make farmers successful and technical services to accelerate the adoption of organic practices, the proposed program is designed to address organic’s most pressing needs: bringing new farmers into organic production, increasing organic research, and educating consumers about organic and its benefits. A huge portion of the funds raised by the check-off—50 to 75 percent—will be dedicated to research, information dissemination and technical assistance. Not only is research devoted to organic agriculture sadly in need, but without the rapid dissemination of research findings or the unavailability of resources for technical assistance, organic farmers will continue to be held in check. How to get more farmers into organic is an urgent challenge for the growing organic sector. Demand for organic products in this country has never been greater. OTA’s most recent survey of the U.S. organic industry showed that organic sales in 2014 reached a new record of $39.1 billion, a jump of 11 percent. Organic food sales totaled $35.9 billion, also up more than 10 percent. Organic food now accounts for almost 5 percent of the huge U.S. food market, and some organic categories like organic produce now command more than a ten percent market share. But organic acreage is still less than 1 percent of the total farm acreage in the United States. The widening disparity between organic supplies and organic demand means that organic milk producers have been forced to turn to foreign-grown organic products for organic feed for their cattle. 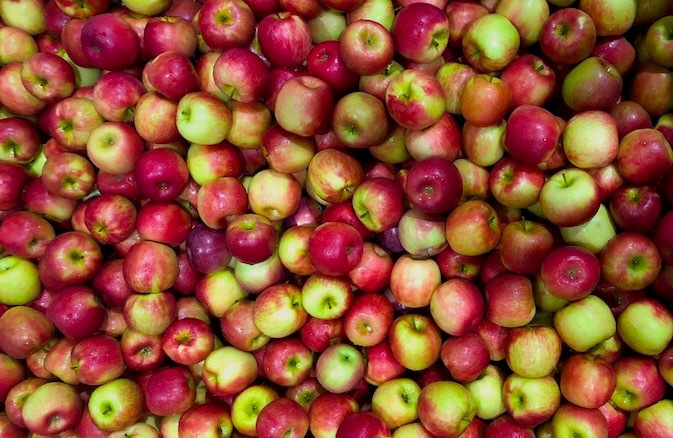 Organic processors and handlers have also had to look abroad to fulfill their orders. And despite the best efforts to satisfy the growing appetite for organic, many retailers find that running short of organic products on their grocery shelves is not that rare of an occurrence. 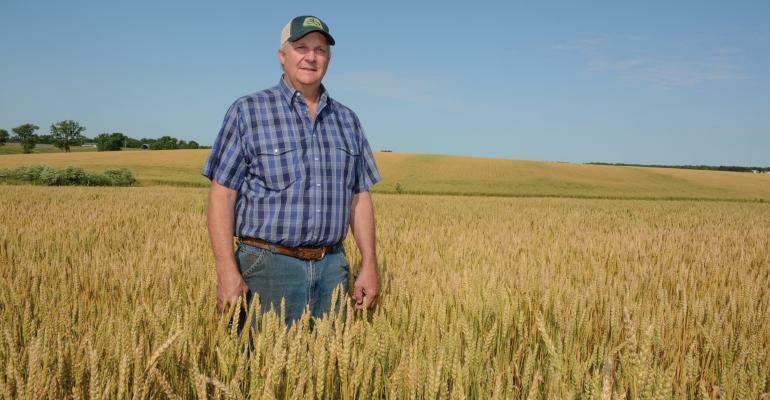 “We have the organic demand here, and we have the ability to grow organic here; what we need to do is increase the organic production,” said Roger Lansink, an organic corn, soybean, and barley grower in northwest Iowa. Lansink and his two sons farm 750 acres of organic crops, and have been certified organic for 20 years. Lansink thinks that now is the time for the organic industry to come together to advance itself, and that the organic check-off could be the way. The lack of funds for organic research—on organic production, on ways to control pests and weeds organically, on organic seed breeding, and more—is a key obstacle in the effort to increase organic production. And the corresponding lack of accurate and up-to-date data about the findings of key organic research and studies, along with an at-best spotty infrastructure to turn to for technical assistance, have kept the organic sector at a disadvantage. Organic producers throughout the country say that without good research—and good information and adequate technical assistance—to help them deal with everyday problems, they are often fighting an uphill battle in staying ahead of the bugs and invasive weeds and unexpected diseases. Consumers all over the country, of all ages, income levels, political leanings and ethnic backgrounds, are buying organic. Market research released this spring by OTA shows that from the Atlantic Seaboard to the Pacific Coast, from Detroit to Houston, sales of organic products are posting double-digit increases. The majority of American households in all regions of the country now make organic a part of their supermarket and retail purchases—from 68 to almost 80 percent of households in southern states, to nearly 90 percent on the West Coast and in New England. And while the average shopper knows a lot more about organic than in years past, there is still much confusion about what the organic label stands for, and misleading information on what differentiates organic from all the unregulated claims on food that have proliferated in the grocery aisle. — Shauna Sadowski, Annie’s Inc. One-third of organic consumers are new to the market and have been buying organic for less than two years, so they’re still learning all the facts. But, even for many people who have been buying organic regularly for some period, there is still a lack of knowledge that there is a huge infrastructure of regulations and standards behind the organic label. 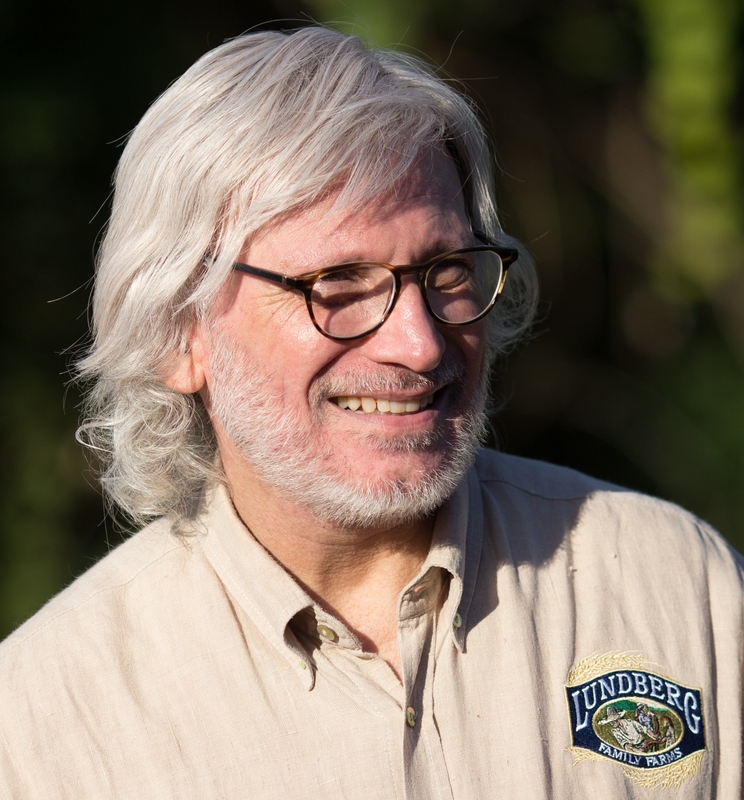 “People don’t always understand that organic is the highest standard out there. Over the years of interacting with consumers, we know first-hand how confused consumers are about organic in the broad sense,” said Jesse Laflamme, organic egg producer and founder of Pete & Gerry’s Organic Eggs in New Hampshire. “To have a program from a high level that educates on the benefits of organic is critical: that farmers are not allowed to use toxic chemicals, that farmers aren’t allowed to use antibiotics, not allowed to use growth hormones, and more; those are very high level virtues of organic that are somewhat unclear and often not differentiated enough from other brands,” said Laflamme. Commodity check-off programs have been a part of American agriculture for almost fifty years, and numerous studies have been done on the effectiveness of those programs during that period. Most studies have found that check-offs have boosted funding for research, increased awareness and demand for the product they are promoting, and have returned a good investment on the dollar. That said, some of the older research and promotion programs established as “stand-alone” Acts of Congress have been criticized for not always using check-off funds wisely or in the best interests of the sector they represent. The Generic Act, under which the GRO Organic program would be established, resolves many of these issues through new rules on how much of check-off funds can be spent for administrative purposes, identifying production practices as a research area for check-off funds and other new criteria. OTA went even further in the crafting of the check-off proposal, learning from the concerns of farmers and other stakeholders, and creating a program that would represent the best of all the check-off programs. Equal representation on the Check-off Board of producers and handlers. Direct election of producer board members through direct balloting of producers. A full value chain of assessment, with all organic stakeholders paying into the program. A referendum every seven years to decide whether or not to continue the program. The option for farmers and handlers with gross organic revenue below $250,000 to voluntarily pay into the program. The option for organic producers to pay an assessment based on Net Organic Sales or Producer Net Profit. Earmarking up to 75 percent of the check-off funds for research (including regional priorities), for disseminating information on organic research and studies, and for technical assistance. Ensuring that all the research, inventions and innovations resulting from organic check-off programing remain in the public domain. It sounds good what about...?